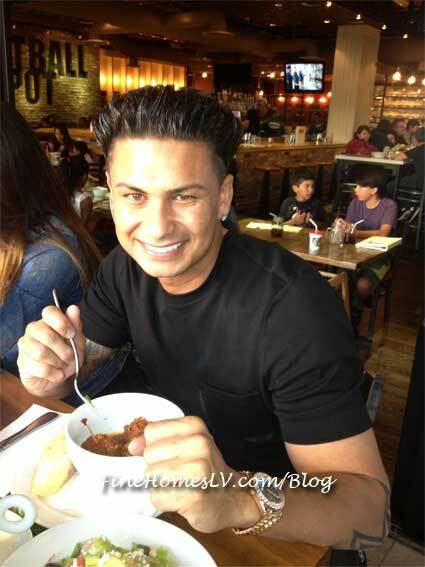 On Sunday afternoon, the MTV star took a break from his GTL routine to try the new eatery’s Chicken meatballs with Garlic Parmesan sauce, Classic meatballs with spicy meat sauce, Beef meatballs with classic tomato sauce, and Mac and Cheese. The self-proclaimed “Guido” was joined by Gerard “Big Jerry” Gialanella and a group of friends, who also enjoyed a full tray of ‘Roman Style’ pizza with sausage and tomato. The party also devoured the Kitchen Sink Salad before finishing off their feast with Meatball Spot’s delectable Bananas Foster and Chocolate Chip ice cream sandwiches. Pauly D was so impressed by the service he received, he left a $500 tip. 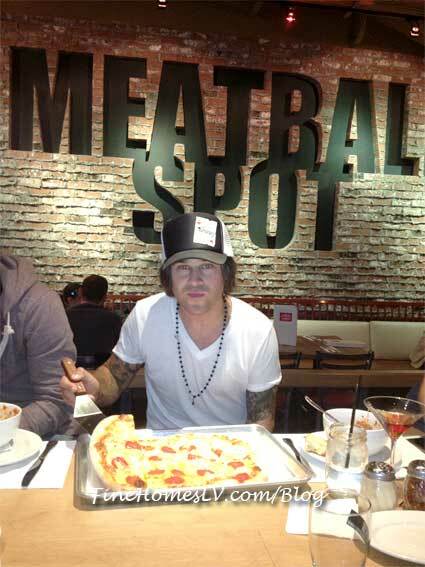 On Saturday, recording artist, Ryan Cabrera, enjoyed Meatball Spot’s Classic meatballs with spicy meat sauce, along with a half tray of pizza topped with pepperoni and pineapple. The handsome crooner washed his meal down with a Manhattan cocktail and a Jack Daniel’s on the rocks. Just tables away, “System of a Down” rocker, Dolmayan, savored two Classic Meatball Sliders and a Margarita pizza while sitting at the bar. Returning for a second time on Saturday, BMX rider, Lavin, enjoyed Classic meatballs with Classic tomato sauce with a variety of salads, including the popular Kitchen Sink salad. Lavin also enjoyed a ‘Roman Style’ pizza with his friends.